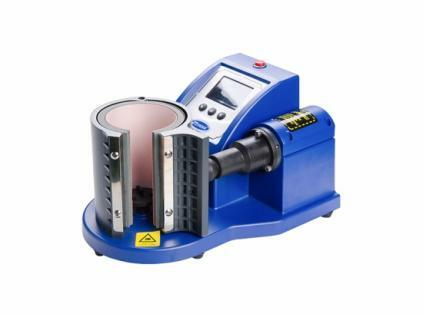 New to the Genie mug press range is the Genie Pneumatic mug press featuring automatic closing and pressure adjustment giving you the perfect finish each time you press a mug. The press has a micro inflating pump so there is no need for an external compressor. The press is solidly built, fast to warm up and fitted with a standard 11oz heater band. The temperature can be measured in Celsius or Fahrenheit using the digital display.